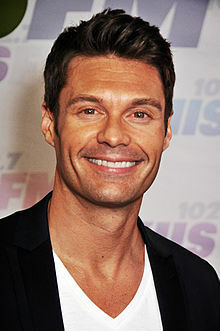 Ryan Seacrest is an American radio personality, television host, and producer. He hosts American Idol, a talent competition, and also On Air with Ryan Seacrest, a popular morning radio show on KIIS-FM. He has won Emmy nominations for American Idol, and won an Emmy Award for producing the ABC show Jamie Oliver’s Food Revolution.